Photokina is the world's leading trade fair for photo and video professionals. 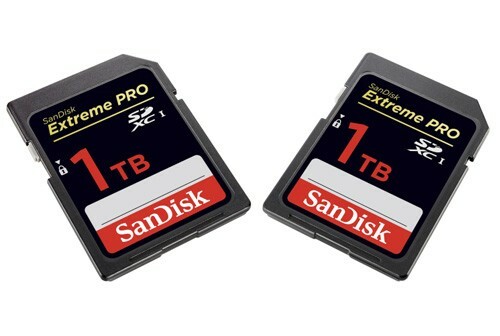 This year Western Digital gave the photography and videography industry a preview of future imaging technology when it unveiled its SanDisk 1TB SDXC card prototype. Virtual Reality Headsets are certain to become one of THE gifting products for Christmas 2016. Peak, partnering with Bitmore, have created the VR Eye, which is compatible with most popular iOS and Android smart phones, and features a remote control that allows you to control the action on screen. As we enter Peak Season we’ll be receiving regular deliveries of VR Eye, but we’re expecting demand to be high. If you haven’t got involved yet, talk to your account manager now. Paul Dutton, Peak Development Senior Product Manager, "We believe there are two markets for VR. The first is from brands such as Sony, ASUS, Samsung and Oculus with their own proprietary technologies. Together they will create a demand for product and awareness of what VR is. We see these products as niche products and a considered purchase. The other part of the VR market is in the impulse market place. In terms of units and margin available for retailers, we believe this will be by far the biggest part of the market, and this is where we have positioned VR Eye." 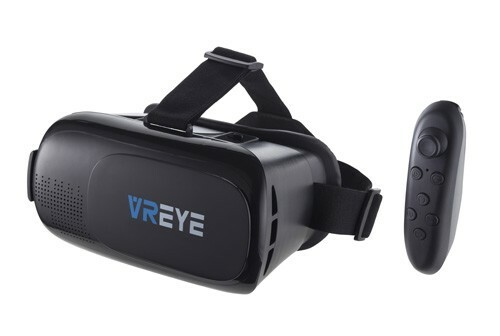 Take a look at the VR Eye Product Page on this site. If you have any questions, you can give us a call on 01489 796979 or email our Sales Team for more information! We're excited to announce a new partnership with Ansmann - the respected specialists in Mobile Energy Solutions. 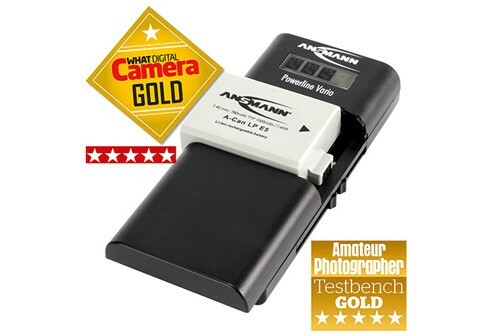 The Ansmann range includes a wide range of batteries, rechargeable batteries, chargers, power supplies, flashlights, nightlights and much more. Paul Channel, Managing Director of Ansmann UK, "supporting customers with the best service and the right range has always been our aim and we have teamed up with Peak to o¬ er the same keen prices as we have always done and a delivery service you have come to expect. We feel that with Peak supplying Ansmann products, customers will gain the added benefits of dealing with both expert, award-winning companies. Check out this link to our Editorial Feature in the latest BPI Magazine - out later this week. Why not take a look at a selection of the Ansmann Range on this site? If you have any questions, you can give us a call on 01489 796979 or email our Sales Team for more information! Our first shipment of stock has arrived and we're ready to go! CES 2016: SanDisk announces world's thinnest 1TB M.2 SSD. At the International CES Show in Las Vegas, SanDisk have announced the availability of the new X400 SSD, the world’s thinnest one terabyte (1TB) M.2 solid state drive (SSD). It is the first single-sided 1TB SATA M.2 form factor with a mere 1.5mm height. The X400 SSD is designed for fast start-up and application launch, as well as for extended battery life. Consumer research conducted by SanDisk in late 2015 indicates that these benefits are important for more than 70% of consumers when using PCs. At the International CES Show in Las Vegas, SanDisk have announced a new high-performance, durable, water-resistant portable SSD. Designed for photographers and videographers who need a reliable and superfast storage solution, the SanDisk Extreme 510 Portable SSD is designed to deliver whether on location or in the studio. The SanDisk Extreme 510 Portable SSD builds on the compact design of the highly-rated SanDisk Extreme 500 Portable SSD to offer ultimate portability and provide greater protection for users who want to take their storage on-the-go. With its rubber bumper and IP55-rating for water and dust resistance, the SanDisk Extreme 510 Portable SSD stands up to hazards such as rain, spills and rough, dusty trails, while also cushioning against falls. In a pocket-sized design, the SanDisk Extreme 510 drive delivers powerful performance with transfer speeds up to 430MB/s to quickly access massive video files or photo libraries - outperforming a traditional external hard drive with speeds of up to four times faster. Available in 480GB capacity, this all-terrain drive offers high-speed storage for anyone looking for a fast, reliable storage solution that battles the elements. The new SanDisk Extreme 510 Portable SSD also features SanDisk SecureAccess™ software with 128-bit encryption to secure files. The 480GB SanDisk Extreme 510 Portable SSD features a two-year warranty and will be available worldwide at an MSRP of $249.99. We’ll keep you updated as UK price and availability is condfirmed. CES, the world’s largest technology trade show, kicks off officially in Las Vegas with the press day today, Tues 5th January. Our Managing Director, Rob Baseley, and Senior Product Manager, Paul Dutton are both at the event. In 2015 more than 170,000 people traveled from all over the globe to walk the 2.2 million net square feet of exhibition space. This year will no doubt be bigger and even better than before, but what will be the buzz of the show this year? Here’s five to look out for. Wearables. We’re expecting the Wearables market to show real signs of maturity this year. Moving from gadgets that are fashionable and fun, to must have devices that do more. Expect to see more useful dietary feedback, sleep-tracking (as per our Lifetrak range), life-coaching and stress management. Virtual Reality. There are expected to be 80% more VR exhibitors this year at CES than last year. Mark Zuckerberg called Virtual Reality (VR) the next evolution of computing. Expect more from Occulus, Sony’s Playstation VR and a big announcement from HTC. The show will also enjoy its first ever augmented reality showcase. Drones. Each year Drone technology seems to take a huge leap forward. Look out for autonomous drones and VR and Action Cam brands getting involved too. GoPros teaser trailer for their new Karma device hints at a 360 degree camera. Internet of Things. The IoT has been a buzzword for a couple of years now. It basically means connecting devices over the internet – letting separate devices communicate with each other to give us more features and benefits. New TVs from Samsung and LG will work more like home hubs, delivering control over everything from your lighting, to your heating and speaker systems. Rideables and Driveables. Although attendees are officially banned from using them, and they’re pretty much illegal to use anywhere that’s useful, there’s no escaping the rise of the self-balancing scooter. Segway, Arcimoto and inboard will all be showcasing their latest models. We’re also expecting to see more Cars than ever before as Tesla rival Faraday unveil their new car concept car and what about BMW’s AirTouch gesture control system? All will be revealed.